No one knows who wrote the bible book of Ruth. (2 Samuel 2:4). All truth is proved by verification. David also wrote a number of songs (psalms). <!-black-> What are some things that we know about the bible book of Ruth? In the modern bible, the book of Ruth is located after the book of Judges because this true story took place sometime during the rule of the judges of Israel 1225-1020 B.C.- possibly during the reign of Gideon or Jephthah. Every year it was read out loud to the people of Israel at the feast of Pentecost. when and where was this book written? It was written from somewhere in Israel (possibly Hebron) about 1010 B.C. Why is the book of Ruth in the bible? Did God place it there for the genealogy because this book proves that the royal house of David is connected to the tribe of Judah? Possibly. Did God place it there because it is a beautiful love story between a man and a woman? Possibly. Did God place it there as an allegory to help reveal a message of one kind or another? Possibly. I think that God placed it there because it helps explain the doctrine of redemption. Why? Because it is in the plan of God and He wants us to know about it. God was planning on sending to mankind a Kinsman-Redeemer for the purpose of redeeming the human race from sin. Boaz is a type of kinsman-redeemer who helps us to understand the true Kinsman-Redeemer, Jesus Christ, the Jewish Messiah. Jesus Christ came to earth in bodily form for that reason. Jesus Christ is our Mediator and through His selfless act of love provides a redemption for sin with His own blood for each repentant sinner who comes to Him by grace through faith. It is a story that shows God's redemptive love in action for the saved folks of Israel then and the church today. There had been a shortage of food in the land of Israel but there was food in the land of Moab. Israel and Moab, neighbor nations, peacefully tolerated each other politically in those days. After 10 years or so, there was food available in Israel once again. Redemption is a romance of love. Because God loves us, He redeems us. Jesus Christ is our Kinsman-Redeemer. (after terrible loss and suffering in a trial). 2) Chapter 2 Ruth shows great character by her actions. 3) Chapter 3 Ruth follows God's will for her life. 4) Chapter 4 Ruth is blessed by God (Job was blessed at the end of his trial). <!-black-> What is this true story about? Briefly speaking, this story starts at a peaceful time during the days of the judges of Israel. One family from Bethlehem of Judah migrated to the country of Moab. Each of the two sons married Moabite women. All 3 of the men of the family died, so Naomi returned to Israel with one of her daughters-in-law, named Ruth. Ruth married Boaz and from this lineage came the ruling dynasty of Israel that started with King David. Ruth was also an ancestress of Christ. <!-purple-> "No Ammonites or Moabites, or any of their descendants for ten generations, may be included in the assembly of the Lord"
(Amos 2:1-3). But God can make exceptions when He wants to. God elected Ruth to be an ancestor of the Lord Jesus. She was a beautiful woman, on the inside and outside. She kind of reminds me of the virgin Mary, who was also beautiful on the inside and outside. She was a special rare flower that only comes along once in awhile. 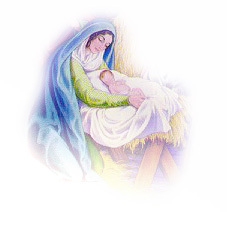 "Under the Church of the Nativity, in Bethlehem, there is a room in which, it is said, Jesus was born. An old tradition says that this same room was part of the ancestral home of King David, and before David, of Boaz and Ruth. Thus, according to this tradition, Boaz took Ruth to be his bride, and started the Family that was to bring Christ into the world, in the Very Same Room in which, 1100 years later, Christ himself was born." 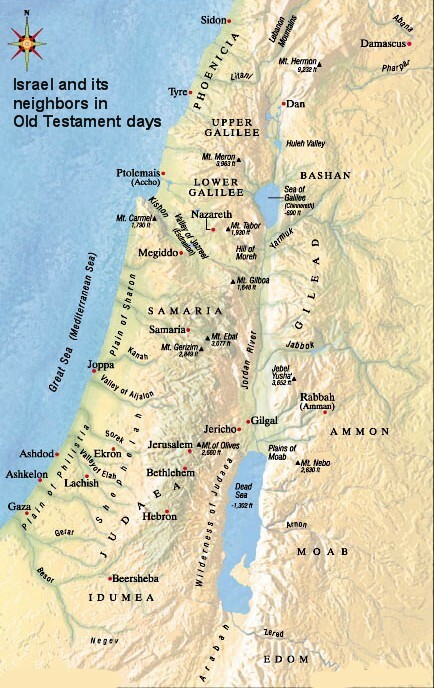 "According to Jewish tradition, about two kilometers (1 mile) east of Bethlehem is the Field of Boaz where Ruth gleaned, and close to it is the Shepherd's Field where the angels announced the birth of Jesus. Is it just a coincidense that these 2 fields are linked to each other? The romance of Ruth with Boaz, her redeemer, can be linked to the church, with her Redeemer- even though these happenings are about 1,100 years apart." <!-purple-> "In the days when the judges ruled in Israel, a man from Bethlehem in Judah left the country because of a severe famine. He took his wife and two sons and went to live in the country of Moab"
<!-black-> We do not know when this true story took place but it was sometime during the days when the judges ruled. You can read more about those times by reading the bible book of Judges. <!-black-> This is a story of destiny. God did His part and certain folks, with free will, did their parts in laying the foundation (with their lives) for the eventual coming of Jesus Christ to the town of Bethlehem. And why is that significant? Because Bethlehem was the birth place of our Savior, our Kinsman-Redeemer. The story of Boaz and Ruth, and the Christmas story are linked by destiny. <!-black-> You and I have a destiny to fulfill. Do not ever think that your life is meaningless and without purpose. You and I have a purpose on this earth and we have a purpose when we get to Heaven. We need to fulfill our destiny here and there. <!-purple-> "The two sons married Moabite women. One married a woman named Orpah, and the other a woman named Ruth"
<!-black-> God elected Ruth to be an ancestor of the Lord Jesus. She was a beautiful non-Jewish woman. God led her to Bethlehem and gave her to Boaz to be his wife. There is an old saying that "marriages are made in Heaven." <!-purple-> "Ruth insisted on staying with Naomi. See, Naomi said to her, your sister-in-law has gone back to her people and to her gods. You should do the same. But Ruth replied: Don't ask me to leave you and turn back. I will go wherever you go and live wherever you live. Your people will be my people, and your God will be my God. I will die where you die and will be buried there. May the Lord punish me severely if I allow anything but death to separate us! So when Naomi saw that Ruth had made up her mind to go with her, she stopped urging her. So the two of them continued on their journey...to Bethlehem"
O Bethlehem of Judah, you are not just a lowly village in Judah, for a Ruler will come from you who will be the Shepherd for my people Israel"
<!-purple-> "But Ruth replied: Don't ask me to leave you and turn back. I will go wherever you go and live wherever you live. Your people will be my people, and your God will be my God"
<!-purple-> "For God can use sorrow in our lives to help us turn away from sin and seek salvation. We will never regret that kind of sorrow..."
<!-black-> How did Ruth get saved? Naomi and her husband loved the Lord. They did not say one thing and do the opposite. God was prayed to and the bible was read and talked about in that family. Their two sons and their wives were presented with the gospel truth. Ruth learned to worship God in the home of her married life. Her faith sprang from a love for God that she saw modeled by her husband and his family. The fact that Ruth gives a confession of faith in God (your God is my God) is a tribute to the faith of Naomi and her late husband. <!-black-> Have you ever thought that you and I are missionaries to our own children- that we are missionaries to our neighbors, our friends, and our relatives? Let us plant as many gospel seeds that we can. You never know when such a seed will start growing in a fertile heart. However, God will not grow gospel seeds that are never planted. <!-black-> There is an old saying: "taste the Lord and see how sweet He is." Ruth tasted the Lord and made Him her Savior. This was through the influence of her godly husband. She had good character. She didn't just have the talk but walked the walk of virtue, honor, and integrity. She is well spoken of even to this day and serves as a great role model. <!-black-> Her godly husband died but they had no children. This must have been a horrible time of pain and loss for her- a real time of trial. Her faith was being tested. She decided to leave her country. This probably meant leaving her mother and other family members behind. This must have been hard on her. She went to live in Israel with her mother-in-law, Naomi. <!-purple-> "...for it grieves me very much..that the hand of the Lord has gone out against me!" <!-purple-> "Don't call me Naomi (pleasant), she told them. Instead, call me Mara (bitter), for the Almighty has made life very bitter for me. I went away full, but the Lord has brought me home empty. Why should you call me Naomi when the Lord has caused me to suffer and the Almighty has sent such tragedy?" <!-black-> Have you ever studied the bible book of Job? In that book we can understand that Satan took away from Job his children, his possessions, and his health. Many believe that his trial lasted about 10 years. A Job's trial is an exclusive club that not everyone can join. You or I have to be hand-picked by God for a trial like that. In one sense, it is really an honor to be chosen by God for such a difficult challenge. God has to really trust you to allow you to be tested to that degree. <!-black-> Naomi knew from studying the book of Job that Satan could not destroy her or her family members unless God allowed it. That is probably why she blamed God for the loss of their finances, their health, and for the loss of her husband and 2 sons. Satan was to blame and Satan may have lied to her- telling her that it was God who did it to her. I doubt if she believed any of Satan's lies. <!-black-> But God was working out a plan in Naomi's life that she could not see. She was happy and secure towards the end of her life and blessed by God. Job's life ended the same way with him receiving twice as much as what he originally started with. <!-purple-> "One day Ruth said to Naomi: Let me go out into the fields to gather leftover grain behind anyone who will let me do it. And Naomi said: All right, my daughter, go ahead"
(Leviticus 19:9-10, 23:22). Ruth had great character. She posessed energy, honesty of purpose, and loyalty. <!-purple-> "So Ruth went out to gather grain behind the harvesters. And as it so happened, she found herself working in a field that belonged to Boaz, the relative of her father-in-law, Elimelech"
<!-black-> Sometimes Christians talk about a Holy Spirit coincidence or a divine coincidence. Ruth had one of these as she was guided by invisible hands to a field owned by Boaz. <!-black-> She was directed by the will of God into the right field. How does God do those things? We know that God the Holy Spirit does guide His prayerful children in answer to prayer. Sometimes His ways are mysterious to us. <!-purple-> "The effective, fervent prayer of a righteous man avails much"
(James 5:16). "The steps of a good man are ordered by the Lord; and He delights in his way"
<!-black-> I remember my first year at Bethany Bible College (1967-1968). I did not like living in a dormatory room with 3 other men- I just had gotten my honorable discharge from the U.S. Navy after I had to live with 40 other men in cramped quarters aboard a World War Two aircraft carrier. I prayed about this situation, however, it was the policy of the administration not to let a single male student live by himself, especially off of campus. Then God opened the doors for me to live off of campus. An 80 year old man, who lived in Santa Cruz, California, wanted any college student to come and live with him. He was having strokes and needed someone to stay close to him. Someone in the administration offered me this opportunity and waived all restrictions. I knew that this was the leading of the Lord, so I stayed with this man during the spring semester- off of campus. The point is- God is quite capable of placing His children where He wants them to be. God can and will use open and closed doors to accomplish His will. <!-purple-> "Then Boaz asked his foreman: Who is that girl over there?" <!-black-> There is an old saying: "a woman is as old as she looks, but a man is not old until he stops looking!" Boaz saw a pretty girl and he was definately interested! She captured his attention. There was chemistry between them. I asked a person one time: "what do you think body chemistry is like?" The person replied: "that is when you get "goose bumps" when around a person you are interested in." <!-purple-> "Boaz went over and said to Ruth: Listen, my daughter. Stay right here with us when you gather grain; don't go to any other fields. Stay right behind the women working in my field"
<!-black-> Boaz was praying for a wife. Ruth was praying for a husband. God may have spoken to him and told him that she was the one and only. Or, God may have spoken to her and told her that he was the one and only. Or, God may have spoken to each of them. <!-black-> I knew a man at bible college who was praying for a wife. God gave him a vision that he would push open the cafeteria doors while he was going in there to eat. These doors would swing inward and knock the books out of the arms of the lady he was to marry as she was exiting the cafeteria. A short time later the incident really happened just the way he saw in his vision. Oddly enough, the woman's name was Ruth and this couple eventually got married. After he met her he went around in a love daze with his feet 3 meters off of the ground, so to speak. He really had it bad. It was love at first sight for him. Many of us students jokingly renamed our school Bethany Bridal College rather than Bethany Bible College. I wonder if Boaz and Ruth had a similar experience happen to them? <!-purple-> "...I have warned the young men not to bother you..."
<!-black-> Was Boaz flaunting his power over his workers in order to impress her? Was he beating his chest in pride, letting his workers know what he had and what they were missing? I do not think so. I think that he was just a genuine nice guy doing a genuine good deed in wanting to protect her. <!-purple-> "So she...said to him: Why have I found grace in your eyes, that you should take notice of me, since I am a foreigner?" <!-black-> Love breaks down all racial and national barriers. <!-black->	Why did Ruth find grace? We can ask God that same question. Why did you and I find His grace? <!-black-> God loves us and He proved it to us when He died in our place on the cross of Calvary. He extended His grace to us. 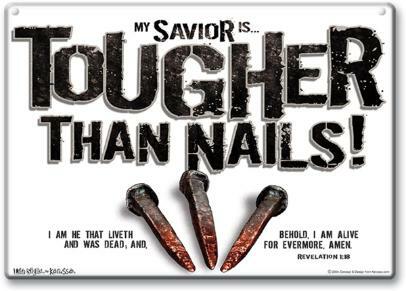 That is the basis on which he saves you and I today. In other words, we approach God on His terms and He accepts us. Ruth was a gentile and considered to be an outcast. At one time you and I were considered to be outcasts from God's grace because of our sins. Ruth had to ask Boaz to accept her. And we had to ask Christ to accept us. Did Boaz turn her down? Did Christ turn us down? No. Boaz put his cloak around her shoulders and brought her, a despised gentile, into the congregation of Israel. And Christ put his robe of righteousness around our shoulders and brought us, as unworthy sinners, into His family of the redeemed. Ruth's story reveals what the grace of God can do in the life of a believer if the believer will let Him do it. <!-purple-> "How precious is your unfailing love, O God! All humanity finds shelter in the shadow of Your wings"
<!-purple-> "At lunchtime Boaz called to her: Come over here and help yourself to some of our food. You can dip your bread in the wine if you like. So she sat with his harvesters, and Boaz gave her food- more than she could eat"
<!-black-> Ruth and Boaz ate lunch together and got to know each other a little more intimately. They were bonding and seeing if they got along with each other. They did! <!-purple-> "...He (Boaz) is showing his kindness to us as well as to your dead husband. That man is one of our closest relatives, one of our family redeemers..."
<!-black-> What is the difference between atonement for sin and redemption from sin? Atonement covered sins and was used in Old Testament times via the blood of certain clean animals. In New Testament times we have redemption from sin through the shed blood of Jesus Christ. Redemption means to pay a high price so that the one who is redeemed may go totally free. The Kinsman-Redeemer in the book of Ruth is a type of the Lord Jesus Christ. Christ died to redeem us. He is our Kinsman-Redeemer. (Matthew 26:53). It was NOT iron nails that kept Him hanging on the old rugged cross but His love. Because of His great love for you and me, salvation by redemption through His blood, is a love story. God is using the bible book of Ruth as an illustrated sermon to whoever wants to be redeemed by the blood of the Lamb today. Accept Him today and experience His great love for you. <!-purple-> "Then Naomi her mother-in-law said to her: My daughter, shall I not seek security for you, that it may be well with you? Now Boaz, whose young women you were with, is he not our relative? In fact, he is winnowing barley tonight at the threshing floor. Therefore wash yourself and anoint yourself, put on your best garment and go down to the threshing floor; but do not make yourself known to the man until he has finished eating and drinking. Then it shall be, when he lies down, that you shall notice the place where he lies; and you shall go in, uncover his feet, and lie down; and he will tell you what you should do"
<!-black-> Ruth had certain rights as a widow, but to lay claim to these rights, she would have to do the responsible thing and ask Boaz to redeem her. She would have to lay claim to her kinsman-redeemer. According to the custom of that time, she would have to be the aggressor. I liken it to going to small claims court to file a claim. If you are not the aggressor, fill out the paper work, and pay the fee then you are not going to be heard. Also, for Ruth, it was also about the same thing as asking him to marry her. <!-purple-> "After Boaz had finished his meal and was in good spirits, he lay down beside the heap of grain and went to sleep. Then Ruth came quietly, uncovered his feet, and lay down. Around midnight, Boaz suddenly woke up and turned over. He was surprised to find a woman lying at his feet! Who are you? he demanded. I am your servant Ruth, she replied. Spread the corner of your blanket over me, for you are my family redeemer"
<!-black-> The agricultural workers in those days would sleep next to their grain piles to keep thieves from stealing sacks of grain to sell for personal profit. Boaz was not alone on the threshing floor but there were his other workers, as well. They slept with their clothes on and used a blanket (mantle or covering) or two for sleeping. Today we can use the same thing or a sleeping bag when away from home, roughing it. There was nothing evil or deceitful in her actions. <!-black-> A male in the marriage relationship, in Old Testament days, was referred to as being "a covering" for his wife. As such, his role was to provide and protect her in every way possible. That is why Ruth uncovered the feet of Boaz. She had to take the blanket off of his feet. As such, she was telling him that he needed to be covered up again. And, when he covered up again, she asked that she be included in that blessing. In other words, she wanted him to be her "covering" as her husband and to fulfill his role to provide and protect her. Those were some of the customs of that day. The prophet Ezekiel's wife was "the desire of his eyes"
<!-black-> Another custom, in those days, was for the one wanting to be redeemed to ask for it. Ruth laid down at the feet of Boaz in the dark. I doubt if she got any sleep that entire night as she was probably filled with anxiety. I can just imagine her kicking his feet at midnight to wake him up. It worked. He asked her what she wanted and she told him that she wanted to take him to court. If he agreed, he would place his blanket over her shoulders. By so doing, he was promising her his love and protection throughout her life. And in return, she was offering him her love and devotion. He placed his blanket over her shoulders. <!-black-> Ruth asked Boaz to redeem her. Today, as sinners needing redemption, we have to ask Christ for it. Christ is always delighted to grant redemption to any sinner asking for it. Boaz was delighted to offer redemption to Ruth. There was total trust in God in this action. <!-black-> Christ will be glad to place His blanket of love and protection over you and me. Our redemption can also be a legal affair because God has promised to redeem us if we come His way. His promise will hold up in the court of Heaven. And we are expected to respond with love, obedience, and devotion to Him. <!-black-> Ruth communicated with Boaz that she wanted him to be her kinsman-redeemer. Good communication in any relationship is essential. And Boaz wanted her as his wife. God was dealing with each of them. When one Christian person is dating another, it is important to know that God is dealing with each of the individuals to accomplish His will. What does that mean? If God deals with one person and not the other person, then it is NOT His will for that relationship to succeed. The relationship is off of spiritual balance. One time I dated a young lady and I was praying for God's will concerning the relationship. Then, one day when I was with her, I felt "a check" or "a block" in my inner spirit. It was nothing she said or did and it was nothing I said or did. It was just one of those "God things." God was letting me know that this relationship was NOT His will. So, what did I do? Did I rebel against God and marry her anyways? Did I argue with God about her? Did I throw a temper tantrum and demand my own way with God? No. I broke it off with the girl. Why? Because I trusted God. I knew He only wanted the best for me and was acting in my best interests. As a Friend, He gave me His advice that I asked Him for. As a Father, He was loving and protecting me. Later on, I met and married the girl that He approved of and we had a wonderful marriage together. Put God first in your life. Ask Him for His guidance and direction and He will be faithful to help you. <!-purple-> "Then he said: Blessed are you of the Lord, my daughter! For you have shown more kindness at the end than at the beginning, in that you did not go after young men, whether poor or rich"
<!-purple-> "Charm is deceptive, and beauty does not last; but a woman who fears the Lord will be greatly praised. Reward her for all she has done. Let her deeds publicly declare her praise"
<!-purple-> "And now, my daughter, do not fear. I (Boaz) will do for you all that you request, for all the people of my town know that you are a virtuous woman"
<!-black-> Respect comes before love. It appears that Boaz is in love with Ruth by this time and his actions prove it. <!-purple-> "A worthy wife is her husband's joy and crown..."
<!-purple-> "So she lay at his feet until morning, and she arose before one could recognize another. Then he said, "Do not let it be known that the woman came to the threshing floor"
<!-black-> Did any one of them get any sleep that night? I doubt it. There was too much anxiety. They might have stayed up and talked all night long. Maybe they ate some sandwiches and drank hot coffee. Was there secrecy because they had sinned against the Lord? No. These actions were prudent to avoid any false accusations and scandal from mindless gossip. <!-purple-> "We are careful to be honorable before the Lord, but we also want everyone else to know we are honorable"
<!-purple-> "Then she said: Sit still, my daughter, until you know how the matter will turn out; for the man will not rest until he has concluded the matter this day"
<!-black-> I imagine that Boaz had communicated with Naomi about Ruth, especially since they were related and living in a small town. Naomi knew how Boaz felt about Ruth and anticipated the actions of his heart. <!-purple-> "And Boaz said to the family redeemer: You know Naomi, who came back from Moab. She is selling the land that belonged to our relative Elimelech. I felt that I should speak to you about it so that you can redeem it if you wish. If you want the land, then buy it here in the presence of these witnesses. But if you don't want it, let me know right away, because I am next in line to redeem it after you. The man replied: All right, I'll redeem it"
<!-purple-> "Then Boaz called ten leaders from the town and asked them to sit as witnesses (at the gate)"
<!-purple-> "Her husband is known in the gates, when he sits among the elders of the land"
<!-purple-> "Then Boaz told him: Of course, your purchase of the land from Naomi also requires that you marry Ruth, the Moabite widow. That way, she can have children who will carry on her husband's name and keep the land in the family"
(Deuteronomy 25:5-12). And it was considered a disgrace for one family member not to help another (she was to spit in his face). Are we supposed to help needy family members today? Well, the principle of love is in place but the practice falls too short in many instances. <!-purple-> "Then I cannot redeem it, the family redeemer replied, because this might endanger my own estate. You redeem the land; I cannot do it"
<!-black-> The nearer relative did not want to marry Ruth because he was probably already married. To raise up his own son in the name of another relative would confuse the question of the inheritance of his estate. <!-purple-> "Therefore the close relative said to Boaz: buy it for yourself and he took off his shoe"
1) The shoe symbolized the right of the owner to set foot in the promised land. 2) Removing the shoe symbolized the act of ceding the rights of possession to another. <!-purple-> "So Boaz married Ruth and took her home to live with him. When he slept with her, the Lord enabled her to become pregnant, and she gave birth to a son"
<!-purple-> "Lo, children are the inheritance of the Lord; the fruit of the womb is a reward"
<!-black-> If a man loves his wife and treats her well then she will respond to him. If a woman loves her husband and treats him well then he will respond to her. But, if one treats the other harshly, critically, and cruelly, the victim will become cold and indifferent, and love will die. <!-black-> But was not Boaz forbidden to marry a Moabite woman? Yes. But there was an exception made in her case. Who made it? She was accepted as a citizen of Israel by the representatives of the city who considered her to be a proselytite (a convert to God and Israel). <!-purple-> "...Obed...became the father of Jesse and the grandfather of David. Perez was the father of Hezron. Hezron was the father of Ram. Ram was the father of Amminadab. Amminadab was the father of Nahshon. Nahshon was the father of Salmon. Salmon was the father of Boaz. Boaz was the father of Obed. Obed was the father of Jesse. Jesse was the father of David"
<!-purple-> "Nahshon was the father of Salmon, Salmon was the father of Boaz, Boaz was the father of Obed, Obed was the father of Jesse"
<!-purple-> "Salmon was the father of Boaz (his mother was Rahab). Boaz was the father of Obed (his mother was Ruth). Obed was the father of Jesse. Jesse was the father of King David"
<!-black-> Rahab was a Canaanite and Ruth was a Moabite. (Joshua 2:1) could have been his ancestress- that is if one accepts the possibility that the period of the time of the Judges was from 1225-1020 B.C. That is only a period of time of about 200 years. However, some biblical scholars want to increase the time for the period of the Judges to 1400-1050 B.C. That would put this period of time at about 350 years. That would mean that David's Rahab was a different person from the Rahab of Jericho. <!-black-> Assuming that Rahab of Jericho was King David's great-great grandmother, then it can be seen that a mixed marriage between Nahshon and Rahab had transpired with great success before the one with Boaz and Ruth. What made these folks successful in their personal lives and in their marriages was the fact that they all loved the Lord and were obedient to Him. These ladies, as repentant gentiles, are in the blood-line of Jesus Christ. <!-black-> Boaz probably knew his grandmother, Rahab, really well. He did not have any stigma against marrying a non-Jewish person if that person really loved the Lord. I knew each of my grandmothers in Texas really well and asked each of them detailed family tree information and spent some quality time with each of them. They were both from German descent and it was interesting to learn some of their customs from the old country. For instance, my grandmother (Schulz) Rice was to marry a man in Texas that her parents picked out for her (an arranged marriage). She eloped with my grandfather Rice, instead. I asked her why she married him. She replied, "Because I loved him." <!-black-> God always welcomes repentant sinners into the family of the redeemed. Rahab, a Canaanite, was a repentant sinner who God accepted, so it does not matter what race of people you come from or the color of your skin- you are welcome and invited to feast at the Lord's table if you come to God in repentance as a needy sinner needing grace and forgiveness. (John 19:30). He paid the penalty for your sin and my sin. When we trust Him as our Savior He will give us a wonderful peace that surpasses all understanding. He will take your guilt away. He will change your heart by giving you a new inner nature of the spirit. <!-black-> Theologically speaking, it is on the basis of His work upon the cross for you and me, and it is our acceptance and our receiving Him into our hearts that saves us. All we have to do is to accept His free gift to us- the free gift of salvation. Christ purchased our salvation and each of us has to either trust Him or not trust Him. Each of us has free will to accept or not accept Him- He did not create any robots that have no free will. You and I cannot earn our salvation. When you and I claimed Christ as our redeemer, that is all that He asked us to do. The work of redemption is His work. <!-black-> The true story of Boaz and Ruth is a love story that has a happy ending.